I tried out a brand new recipe on Wednesday, and let me tell you, the house still smells so good from it even today. It wasn’t anything baked (I just started the Dukan Diet, so no baking for me for a while) or any recipe similar to what I usually post. No, this was something completely differently. Let me tell you the ingredients, and see if you can guess what it is. First, there’s frozen goat milk. Since the kidding season started we’ve really been getting quite a bit of milk from our girls, and a good thing, too, since it was perfect in this recipe. 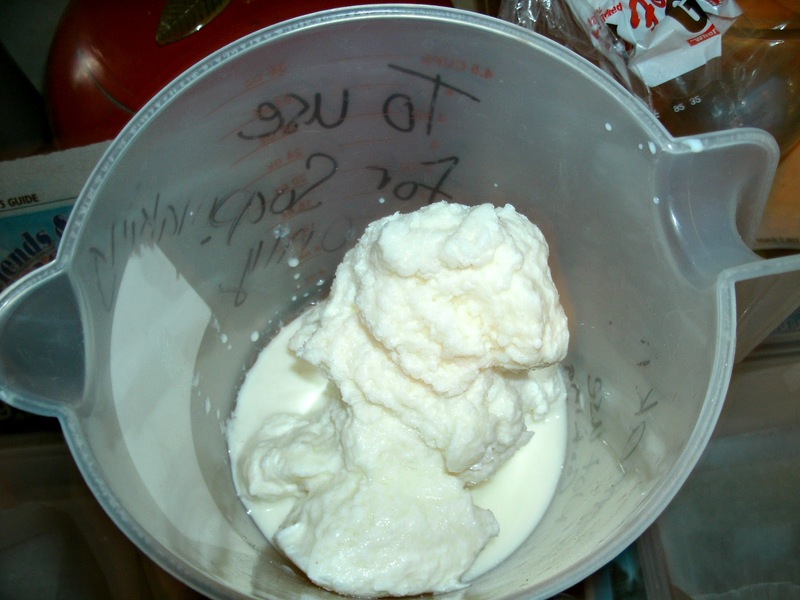 The frozen milk. Well, really it’s more like slushy instead of frozen solid. The next ingredient is a little unusual. 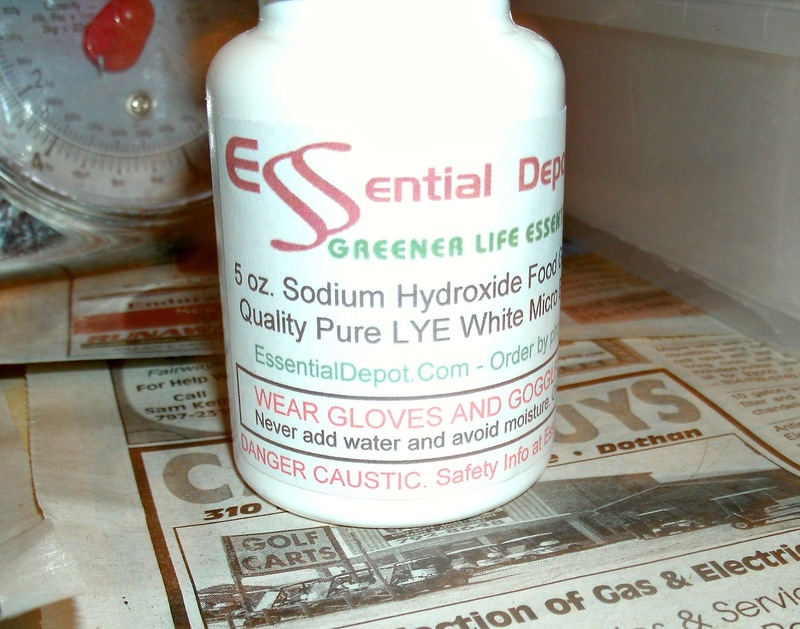 . . sodium hydroxide. That’s right, lye. Let me tell you, I was so nervous about working with it for the first time, but everything went smoothly. Now, the next three ingredients. 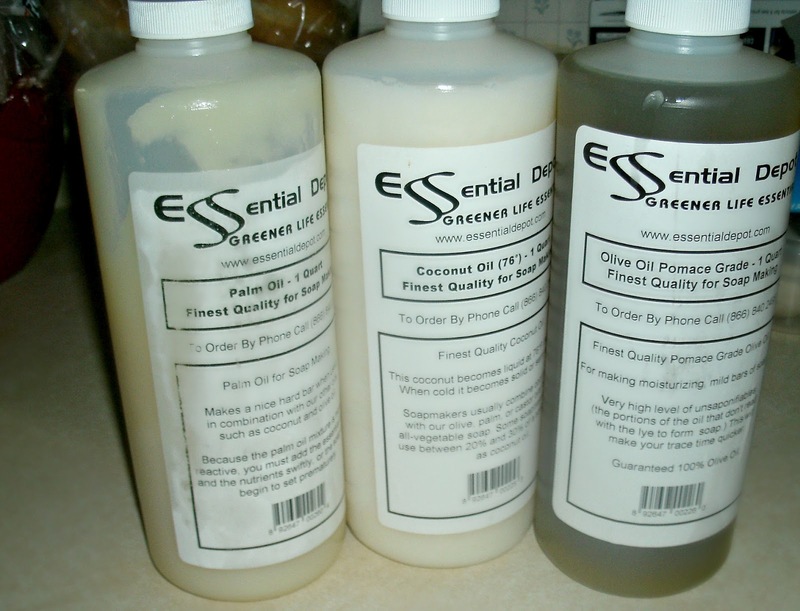 . . Coconut oil, palm oil, and olive oil. Have you guessed what I made, yet? Well, if you haven’t, let me tell you the last two ingredients. 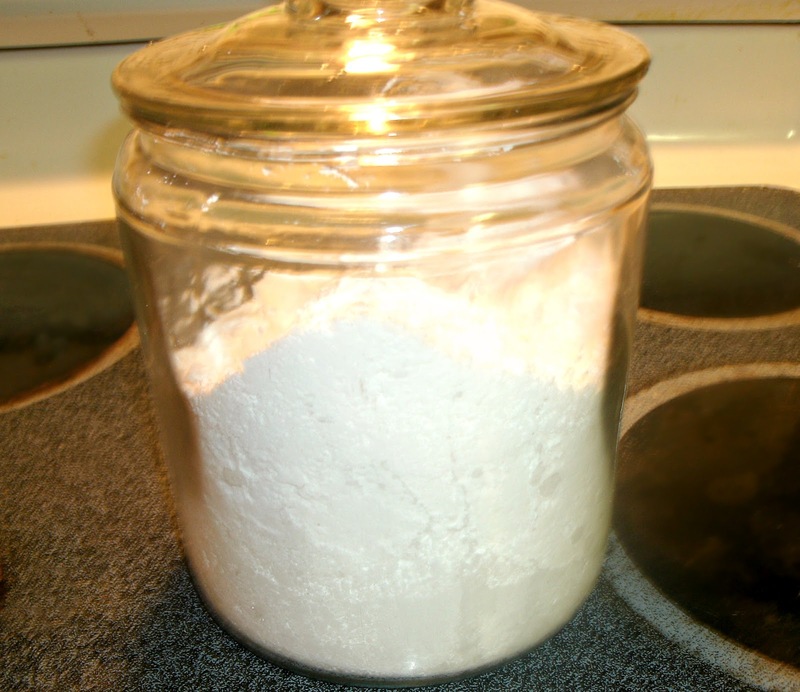 . . a tiny amount of powdered sugar and fragrance oil. If you haven’t already guess, it was Goat Milk Soap. I’ve had really bad skin allergies since going through those pesky teen years, and even though, I’m careful of the soaps, lotions, laundry detergents, etc that I use, I’d still break out every few weeks. That is, until I started using goat milk soap a year ago. Not one single problem with eczema since. 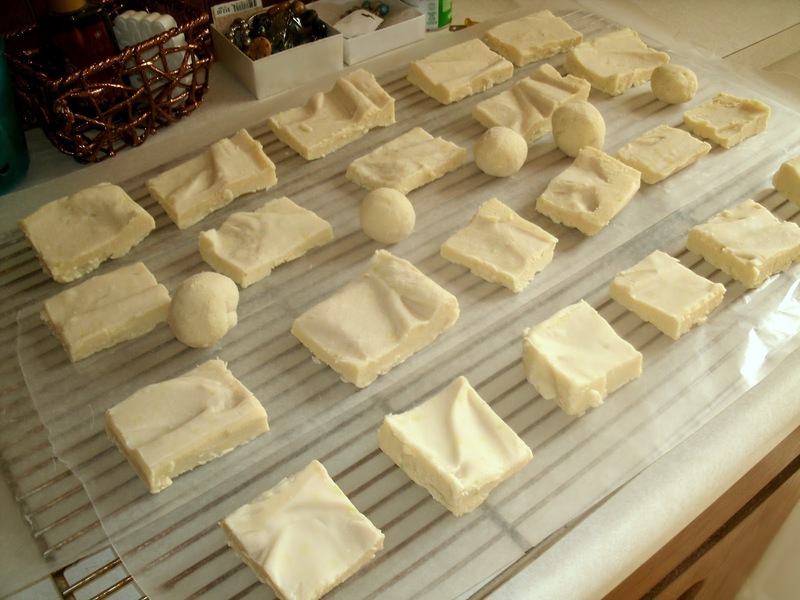 The soap curing. In a few weeks, we’ll be able to use it. It’s definitely not the prettiest soap, but it smells so good. My mother picked out one of her favorite fragrances: Ocean Breeze. Tomorrow, I’m going to make a lemon scented batch using a different mold, so maybe it’ll be a little bit nicer looking. Previous post: How to talk like you’re from the South – Part II. Next post: Happy Saint Patrick’s Day! Interesting comment on the eczema Shell. I’ll see if I can find some over here and give it to my neighbour, as she suffers badly. I hope you can find her some & that it helps. The goat milk soaps that have either oatmeal & honey or tea tree oil added are some of the best for skin problems. I started using oatmeal & honey first, and it was so soothing to my skin compared to what I’d been using.